Elegance and attention to detail is evident in this collection of passementeries. The pieces are uniquely designed and radiate sophistication. 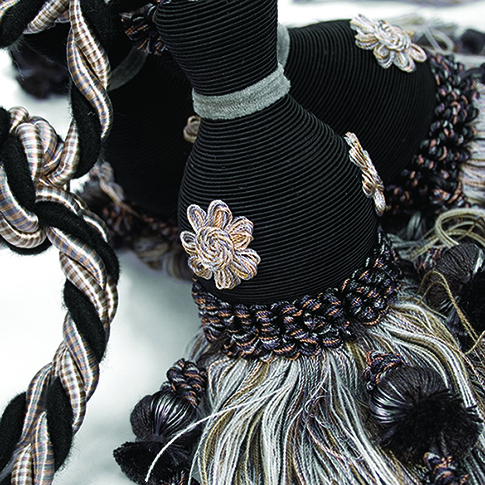 Prism features an enormous selection of colorways including high-end tassels, tiebacks, double tassel fringes and much more.